Applying eye make up takes practice and when applying eye shadow there are a few steps you need to follow. You should always decide in advance how many eye shadow colors you are going to use. Choose your primary color first. This is the color that you want to stand out the most. 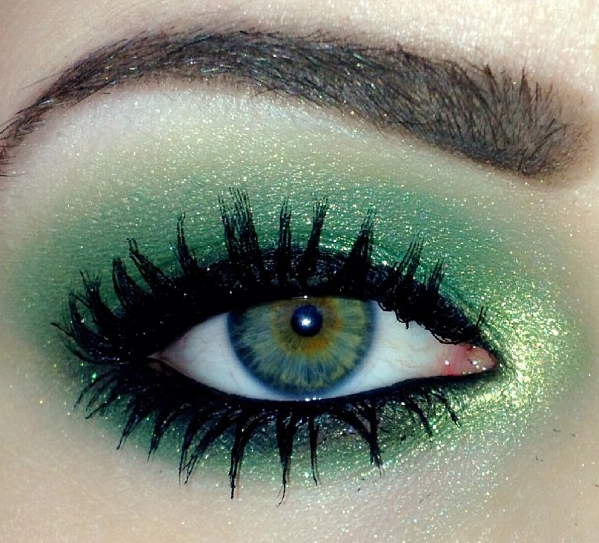 You apply this color to the whole of your eyelid. The next step is to apply the lighter color eye shadow above this color and below your eyebrow. The entire area should be covered in one movement. Q bonito esta pintado el ojo, tengo q aprender a pintarme lo asi.